We saw a beautiful specimen of Laetiporus sulphureus ('chicken of the woods' in German 'schwefelgelber porling') today, in the Branitz Park, Cottbus. As the Germans say 'Alle Pilze Sind Eßbar, Manche Nur Einmal!' - all mushrooms are edible, some only once! 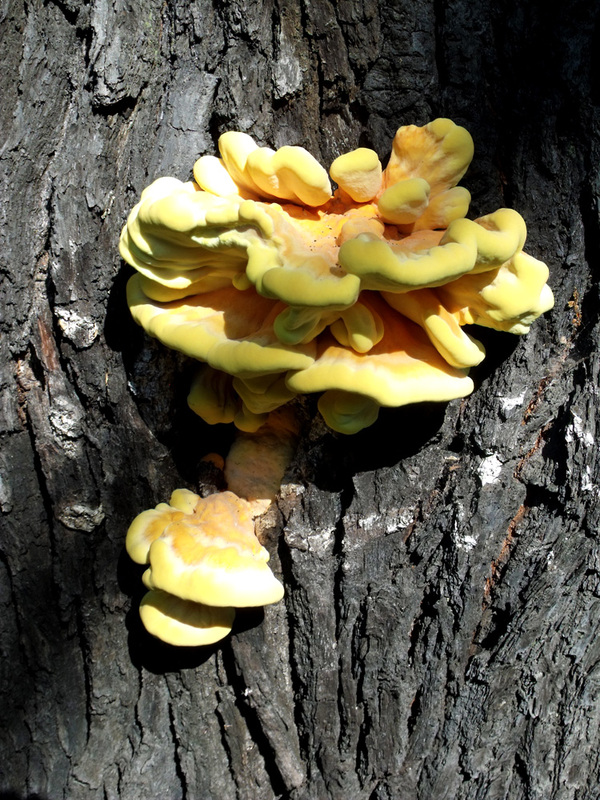 But the chicken of the woods is edible when young, and in fact considered a delicacy in Germany. This baby is too good for KFC! We left it alone too, for others to enjoy its startling sulphur-yellow colour.